This post was originally intended to blend into your feed full of new year’s reflections, hashtag blessed and hashtag humbled, so please do excuse the late submission. I am usually little reluctant to write these because where we are right now I still feel like we haven’t even grown out of the diapers and we are just scratching the surface of what’s possible. But then I saw these stats that our amazing team pulled. Because you know, SHE LOVES DATA. In 2018 we grew our presence to 5 countries, totaling 6 cities. Our email list grew to 7,000 and we have met more than half of you in person, which is so amazing. Our online social community grew to over 12,000 strong and it keeps on growing. If you haven’t yet, do follow us on Instagram, Linkedin or Facebook, but most importantly get onto to our Facebook group where the magic really happens! Our family of super committed volunteers grew to 23 so expect great things this year! Importantly last year, we doubled the number of workshops to 30 per year, with an average of 60,4 workshop attendees and unique 1851 check-ins. (I still struggle to understand how the 0.4 person made it to the the venue though). The really important marker for us here was that we really expanded the offering and tested over 11 different workshops, ranging from soft skills to programming to data and the feedback has been great on a majority of these and we can’t wait to bring to more cities. The highlight of the year was most definitely the jam-packed two-day marathon at the Big Data World in Singapore where we hosted two full days of great panel discussion talks and hands-on workshops where over 2000 unique visitors came to take part! The number of female visitors grew with 102% compare to the last year’s figures, greatly over exceeding our goals and expectations. We also got some love from media this year, like this article! Most importantly these figures above are real people, real stories and very real growth and learning, not some random marketing campaign results. And this makes us very happy. 2019 is starting with a bang! Just in Q1 alone we have 5 workshops already planned in Singapore, choose from R for beginners, work on your Public speaking skills, do our Intro to Data, recurring signature workshop with thousands of graduates, attend Data for Executives if that’s your jam or Marketing Technology and Data, the choice is yours and as always, all of these are absolutely free! Sydney is hosting Intro to data in February, Melbourne, Auckland and Jakarta in March (TBC), Hong Kong again in the week of March 17th! Also we will open up in Malaysia with our first Intro to Data workshop in Kuala Lumpur in Q2! Do check out the event listings page to learn more. If you have been to one of these, do us a favor and share the upcoming workshops with your friends and leave us a review on our Facebook page, they really do help! Like Janice did..
“You can feel safe coming to attend She loves data. Without much IT knowledge, knowing nothing about coding, programming or data science, what you fear most when you want to sign up for such event is to be there and feel lost or ridicule. The next fear is that there may be sales talk after sales talk for expensive courses. Well, fear not, none of the above happened. This is the FIRST workshop pertaining to Data I’ve attended after deliberating for about 2 years to venture out and learn more. I am so glad I’ve attended. The workshop has given me the confidence to want to learn more. “I was looking for a career in the data and tech industry. When Shelovesdata in Singapore organized a workshop in R programming, I signed up to upskill myself. In addition to benefiting from the clear and engaging lessons, I was surprised to also meet a supportive network of women, who selflessly shared knowledge, events, and jobs about data and tech. If the workshop plans are not impressive enough for a volunteer-run organization where all of us have adult jobs, Instagram accounts to attend to and otherwise, hold your breath because we are not stopping there. Through the power of the network and the diaspora of our volunteers. we are also gearing to open up in Los Angeles, Brazil and South Africa. I know right!? 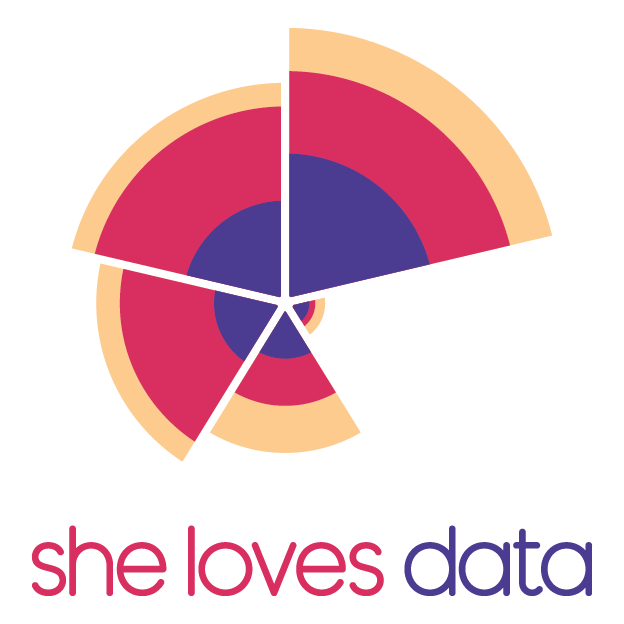 In all seriousness, we do have big goals and limited resources so if you’d like to help in any capacity, offer your skills, time, connections or trust fund, we would love to chat, so don’t hesitate to connect with anyone of us or drop a note to hello@shelovesdata.com. Currently based in Sydney you might most likely run into him at some airport. Pavel is in charge of Meiro’s sales and marketing and in spare time geeks out on chess, boxing and history.